Anaheim, CA – February 5, 2019 – Cadence Aerospace, a provider of highly complex aerospace components and assemblies to commercial and defense customers, announces today the appointment of Heidi Gutermann as Group Controller, Cadence Aerospace–Aerosystems. With Centers of Excellence based in the U.S. and Mexico, Cadence Aerospace serves the world's leading manufacturers of aircraft, aerostructures, aeroequipment and other defense platforms. Ms. Gutermann joins the Cadence Corporate Finance team and reports to Joyce Pae, Chief Financial Officer for Cadence Aerospace. In this new role, she will support both the Cadence Aero Design and Manufacturing and Tell Tool Centers of Excellence—delivering strong accounting and financial reporting, overseeing and monitoring an effective control environment, and providing strategic information and counsel to the Company’s Executive Leadership and Business Management teams. A results-driven, senior financial leader with more than 15 years of progressive experience in manufacturing, aerospace, commercial services and big-four firms, Ms. Gutermann brings to Cadence Aerospace a proven track record of delivering and driving strategic initiatives focused on increased profitability and cash flow. Her capabilities and expertise across a comprehensive range of financial disciplines—reporting and analysis, monthly close, operating plans, budgeting and forecasting, financial controls, accounting and acquisition and integration of newly acquired companies—add value and complement the Cadence Aerospace mission: maintaining a continuous focus on operational excellence and achieving success with business partners through active engagement, aligned manufacturing and sourcing strategies. 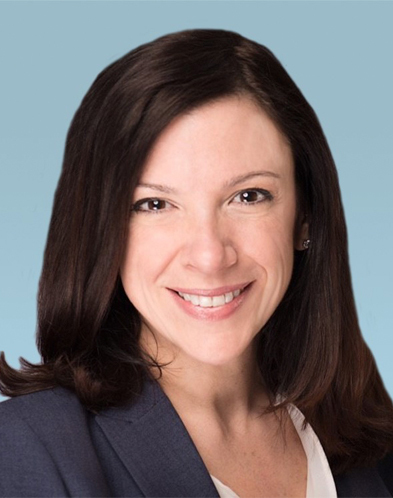 Ms. Gutermann joins Cadence Aerospace after serving Stanley Black & Decker, a Fortune 500 world-leading American manufacturer of industrial tools and storage, commercial electronic security and engineered fastening systems, as Assistant Corporate Controller from 2016-2018. In this capacity, she provided oversight and governance of all aspects of accounting and controls for Stanley Industrial and Security businesses and was involved in all acquisitions and integration for newly acquired businesses. She also led the recruitment, training and career development of talent for segments of the organization as well as played a key role in the facilitation and rollout of a new Enterprise Resource Planning (ERP) System for the company. From 2004 to 2016, Ms. Gutermann held positions of increasing responsibility at United Technologies Corporation (UTC), an American aerospace manufacturer with global service operations. She began her 12-year tenure at UTC as Supervisor, Manufacturing Accounting and was responsible for the Inventory Control Group and Manufacturing Operations. As Manager, Business Support and Controls during 2007-2010, Ms. Gutermann provided technical accounting support on newly issued accounting guidance, supported due diligence for mergers and acquisitions activity, and led the process excellence initiative for corporate finance and accounting. She later served the company as Controller, Joint Venture Pratt and GE Aviation and successfully led the transformation of the finance and accounting for the joint venture, delivering a new forecasting model for the business and supporting the sales organization—all while developing strong relationships with both parent companies to meet all financial objectives. Her most senior role with UTC was as Director Operations Finance during 2015-2016, and in this position, Ms. Gutermann led the charge in delivering the annual operating plan for aerospace, turbines manufacturing business and subsidiaries. She served Northeast Utilities/Eversource, New England’s largest energy provider, as Senior Rate Case Analyst during 2001-2004 and began her career at PriceWaterhouseCoopers in 1998 as an Audit and Business Assurance Associate, later serving the multinational services professional network as Tax Service Associate. Ms. Gutermann completed the Executive Management Program at the University of Virginia in 2012 and also holds a Bachelor of Business Administration in Accounting from the University of Massachusetts.